Deregulation has presented the electricity industry with many new challenges in power system planning and operation. Power engineers must understand the negative effect of harmonics on an electrical power network resulting from the extensive use of power electronics-based equipment. 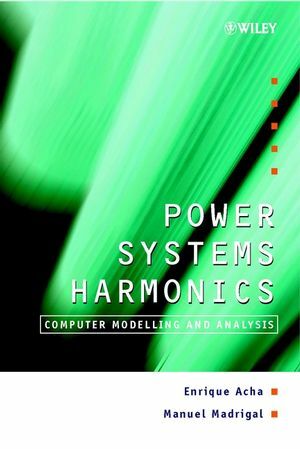 Serving as a complete reference to harmonics modelling, simulation and analysis, this book lays the foundations for optimising quality of power supply in the planning, design and operation phases. * MATLAB function codes to aid the development of harmonic software and provide a hands-on approach to the theory presented. * Insight into the use of alternative, increased efficiency, harmonic domain techniques. * Examination of the harmonic modelling and analysis of FACTS, along with conventional and custom power plant equipment. * Clear presentation of the basic analytical approaches to harmonic theory and techniques for the resolution of harmonic distortion. Advanced undergraduate and postgraduate students in electrical engineering will benefit from the unique combination of practical examples and theoretical grounding. Practising power engineers, managers and consultants will appreciate the detailed coverage of engineering practice and power networks world-wide. Enrique Acha is the author of Power Systems Harmonics: Computer Modelling and Analysis, published by Wiley. Manuel Madrigal is the author of Power Systems Harmonics: Computer Modelling and Analysis, published by Wiley. Electric Circuit Analysis Under Non-sinusodal Conditions. Harmonic Evaluation of Non-linear Functions. Iterative Solutions of Non-linear Power Plant Components. Static Compensator with PWM Converters.